Weather: Summers 23 to 45°C, Winters 10 to 36°C. Amdavad formerly Ahmedabad is the largest city and former capital of the Indian state of Gujarat.The city is the administrative headquarter of Ahmedabad district and is the judicial capital of Gujarat as the Gujarat High Court is located here. With a population of more than 5.8 million and an extended population of 6.3 million, it is the fifth largest city and seventh largest metropolitan area of India. 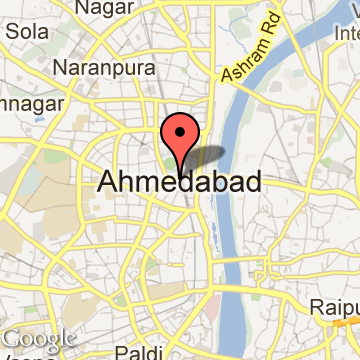 Ahmedabad is located on the banks of the River Sabarmati, 32 km (20 mi) from the state capital Gandhinagar. Though incorporated into the Bombay Presidency during British rule, Ahmedabad remained one of the most important cities in the Gujarat region. The city established itself as the home of a developing textile industry, which earned it the nickname Manchester of the East. The city was at the forefront of the Indian independence movement in the first half of the 20th century and the centre of many campaigns of civil disobedience to promote farmers' and workers' rights, and civil rights apart from political independence. Climate here is absolutely hot and humid. Temperature during the month of summer rises increasingly to 45 degree, whereas winter drops down to a low temperature of 5 degree. Also, the town receives frequent rainfall thereby making the environment wet and sultry. If you are to make your visit to Ahmedabad, then plan your trip during the month of October and March. People traveling to Ahmedabad can find the excellent style of architectural workouts, which dearly fluxes the Hindu and Islamic styles. Ahmedabad is popularly known for its industrial workmanship. Moreover, Ahmedabad is one of the excellent medical tourism spot that holds all the unique health facilities at minimal cost. Hospitals and other medical institutions in Ahmedabad will offer their effective service all around the calendar days with prompt services to its people. This town earns a good income with respect to its tourism arrivals. You can plan an exciting and inspiring tourism and make your travel as a longstanding memory. According to legend, Sultan Ahmed Shah saw a hare chasing a dog while camping on the banks of the Sabarmati near the town. The Sultan was impressed by this act of bravery and decided to locate his capital here and named it as "Ahmedabad". The foundation of his capital was laid on 7 March 1411 A.D.Solanki rule lasted until the 13th century, when Gujarat came under the control of the Vaghela dynasty of Dholka. Gujarat subsequently came under the control of the Delhi Sultanate in the 14th century. However, by the earlier 15th century, the local governor Zafar Khan Muzaffar established his independence from the Delhi Sultanate and crowned himself Sultan of Gujarat as Muzaffar Shah I, thereby founding the Muzaffarid dynasty. Karnavati finally came under the control of his grandson Sultan Ahmed Shah in 1411 A.D. who renamed the city as Ahmedabad after himself. Ahmadabad Tourism - Get all information on Ahmadabad tourist places and sightseeing tours. Our website helps you plan your next tour and gives you great ideas on what to do, where to eat, where to stay and when to go there. We give the best information from the web to give you precise, meaningful and useful travel guide for leading places to visit in India and from across the world. Our travel information on AHMADABAD tourist places, tourist attractions, major sightseeing, the best time to visit, the top places to visit in Ahmadabad, the must-see things to see and do, maps, restaurants, hotels, nearby tourist destinations, local public information and more. 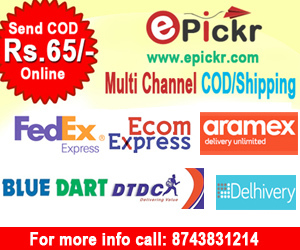 To start with check out information on how to reach Ahmadabad.